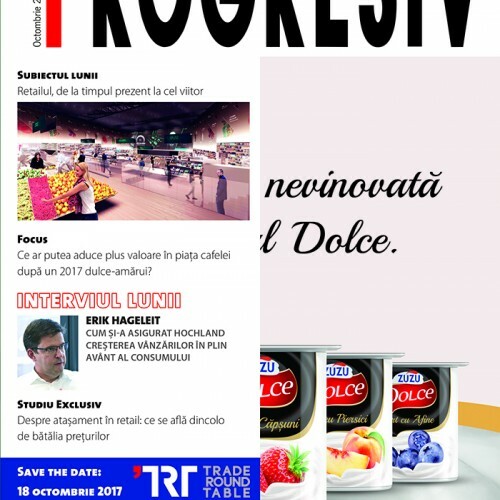 Progresiv is the leader of the trade publications in Romania and provides broad coverage of the whole Romanian grocery retail and fmcg market. Each issue brings to its readers retail analyses, product analyses, business ideas, exclusive consumer studies, information about suppliers products launches and promotions developed in retail stores etc. Each digital copy ordered will be e-mailed to the customer’s e-mail address in the pdf format, immediately after the payment is done. The magazine is published in Romanian language. In 15 years since it was launched, Trade Round Table self-imposed as a reference event in the Romanian fast moving consumer goods industry, bringing together over 250 participants in a conference of.. The Progresiv Conference is the only event that challenges the fundamentals of retail and brings together the best minds in the industry since 2000. The Conference position is cemented by the a..
Progresiv is the leader of the trade publications in Romania and provides broad coverage of the whole Romanian grocery retail and fmcg market. 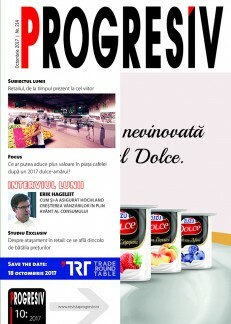 Each issue brings to its readers retail analyses, ..
Progresiv is the leader of the trade publications in Romania and provides broad coverage of the whole Romanian grocery retail and fmcg market. Each issue brings to its readers retail analys..